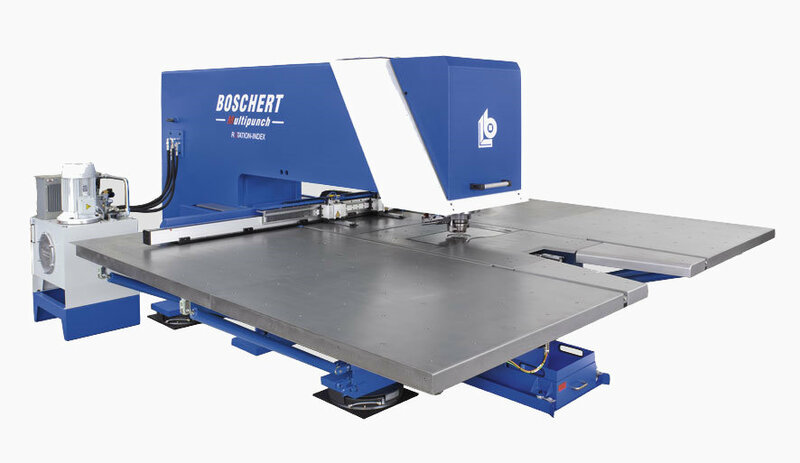 Economical precision stamping machines, nibbling and transforming in one heavy-duty-machine – with the new punching machine MULTIPUNCH 1250 x 2000 CNC Z completes Boschert his delivery and performance program within the range of punching machines. Accordingly the wish of many customers and higher market requirement indeed the complete treatment of metal sheets in only one working off cycle, has been a new tooling system developed which consists of 8 stations for the admission of tooling system Trumpf. With it and included stepless indexable toolings are totally 64 toolings available and this might be more than enough for most of the sheet metal working. In addition is it possible to pre-adjust toolings for different sheets or for partial sheets by what the reequip expenditure will be to zero in case of instance of repetition. With the experience of more than 3000 delivered punching machines all over the world and the supplement of the new tool changer represent the Multipunch 1250 x 2500 CNC Z an universal and flexible punching machine for overcoming the different functions of sheet metal forming: accuracy punching, nibbling, forming. The size of the sheet panels can have the dimension of 1250 x 2500mm and depending on the material for 4 mm stainless steel 6 mm mild steel or 8 mm aluminium. Due to the stepless adjustment of the clamps may the sheet panels or pre-cut parts of all sizes be clamped, fixed and carried at discretion. An additional repositioning with two sheet hold down allows the complete working off the border so that at optimal nesting respectively utilisation of the sheet does not become waste. The combination of simple and rapid sheet-metal part handling as well as the split second changing of the tooling reduces the non-productive downtime to a minimum and conduct per time unit / shift to longer machine useful life. 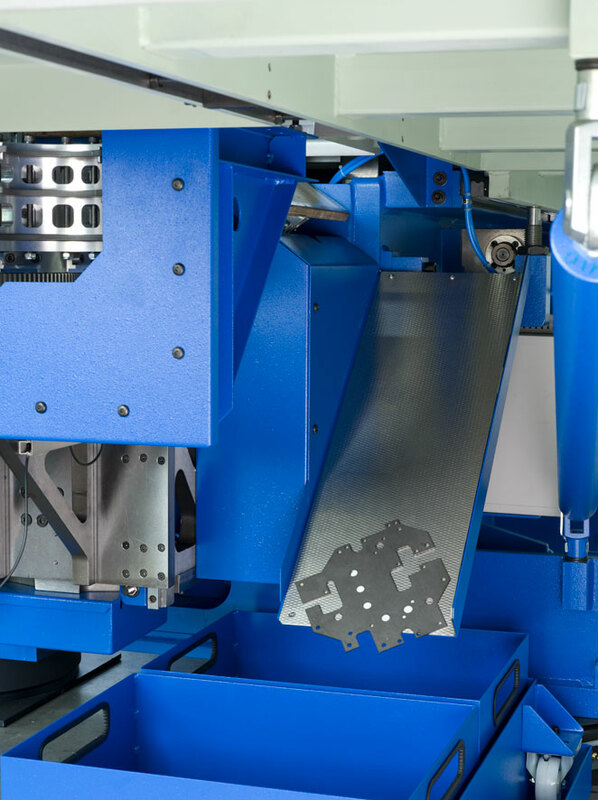 The tool changer can have all relevant punching, nibbling and forming tool system Trumpf as well as the other Boschert punching machines have and so it it possible for the user to take the existing toolings and need not to provide new ones. The programming and handling of the machine is very easy with the Labod dialogue control. Furthermore ist the Multipunch equipped with an automatical small parts chute for sheets up to 300 x 200mm so that the manual sampling of finished parts is inapplicable and the working-off will not be broken at any time. The setting-up of the toolings is because of the changeable cassettes also very easy. At last belongs an automatic tool lubrication and a vacuum slug removal to the standard equipment whereby nothing is int the way of the continious sheet-metal part production.